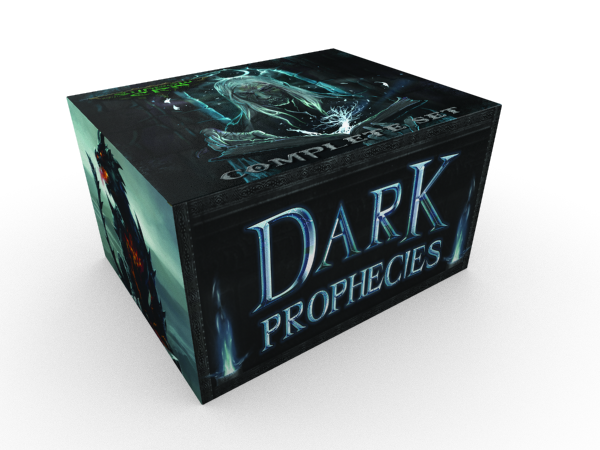 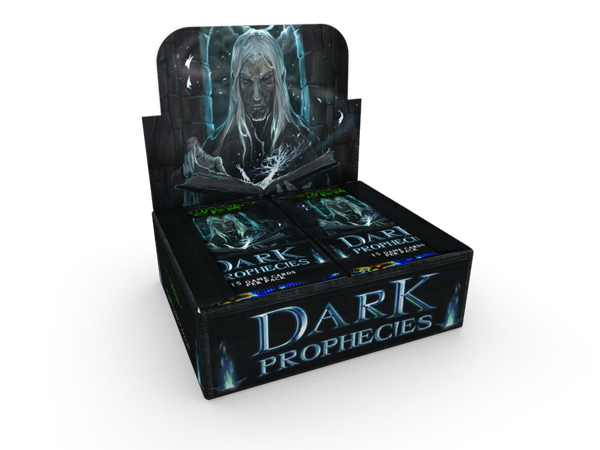 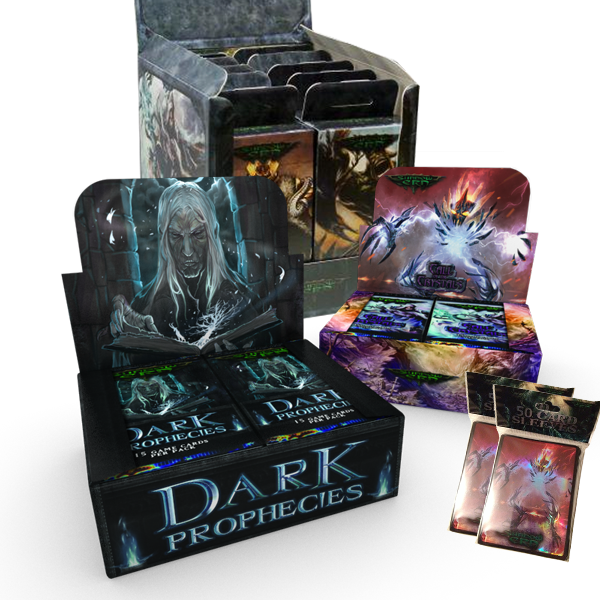 This is a box of 24 booster packs from Shadow Era: Dark Prophecies. 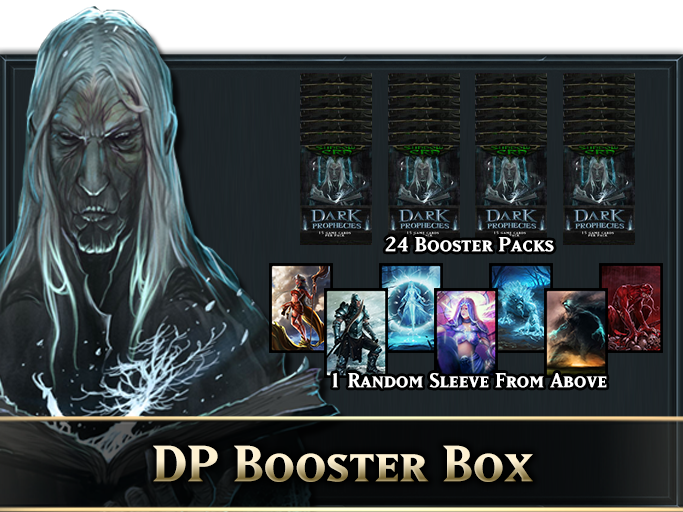 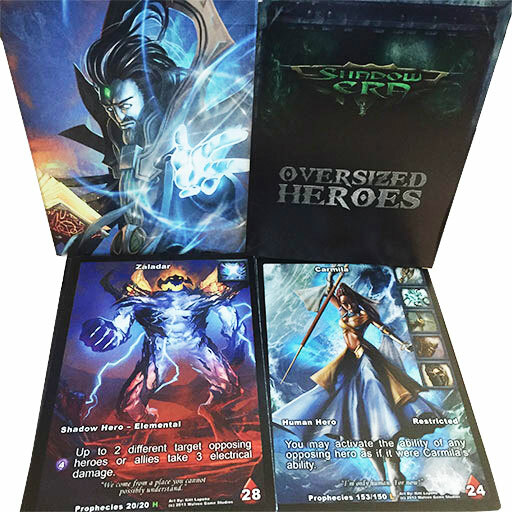 Included in each booster pack are 15 cards: 1 Hero (double sided card with alternate art on one side), 10 Common, 3 Uncommon, and 1 Rare or Epic. 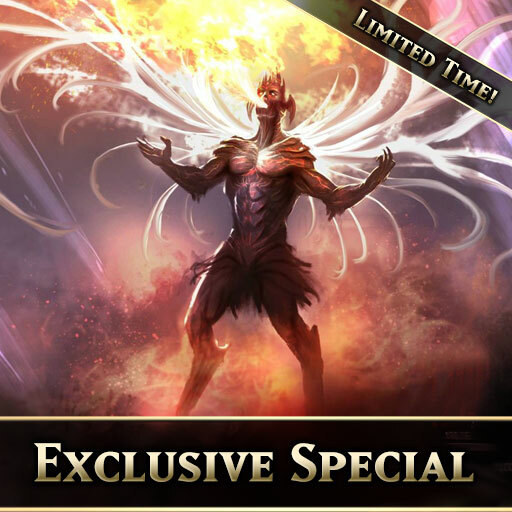 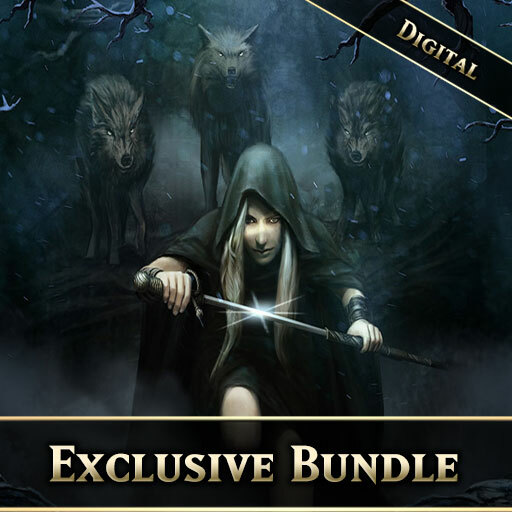 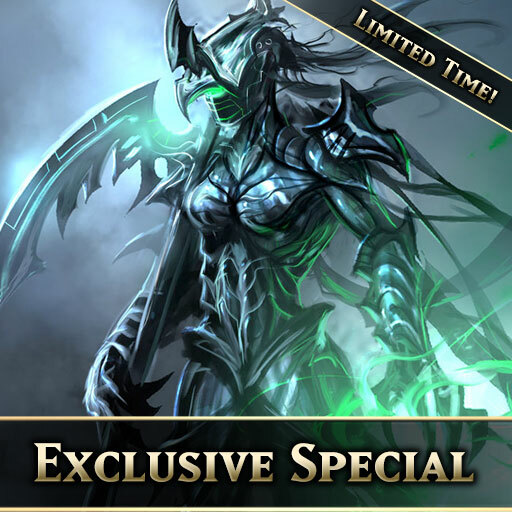 Also included is a redeemable code for online play, worth between 100 to 200 Shadow Crystals. 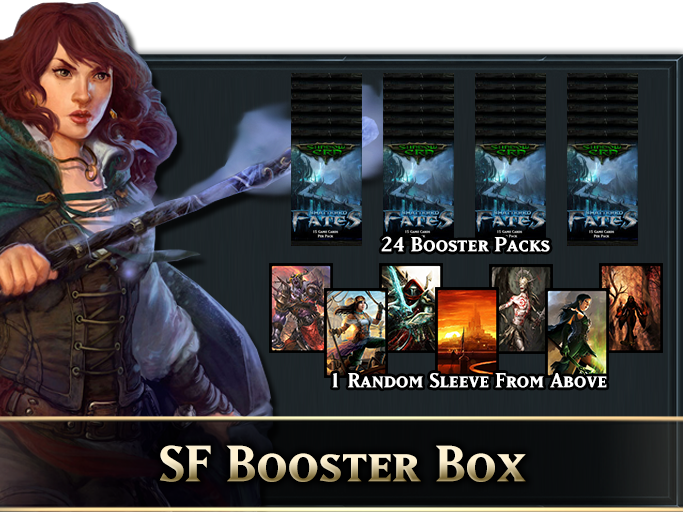 1 in 5 booster packs have a premium foil card that replaces a common!